Actor and television host Gary Collins died 13 October 2012 at the age of 74. Gary Collins was born in Venice, California on 30 April 1938. He attended Santa Monica City College, then served in the United States Army in Europe. While in the military he performed on the Armed Forces Network. He made his film debut in 1962 in The Pigeon That Took Rome. In the Sixties he appeared in such films as King Kong vs. Godzilla (1962), Stranded (1965), Angel in My Pocket (1969), and Airport (1970) . While he first appeared in films, it would be television that would dominate his career. He made his television debut in an episode of Kraft Suspense Theatre. In the Sixties he would be a regular on both The Wackiest Ship in the Army and Iron Horse. He appeared on such shows as Perry Mason, The Name of the Game, Bracken's World, and The Governor and J. J. In the Seventies Gary Collins starred in the shows The Sixth Sense and Born Free. Beginning in 1980 he hosted Hour Magazine for eight years. He appeared in such shows as The F.B.I., Hawaii Five-O, Dan August, Marcus Welby M.D., Love American Style, The Six Million Dollar Man, Barnaby Jones, Tales of the Unexpected, and Charlie's Angels. He appeared in the films Streets of Hong Kong (1979), Killer Fish (1979), Hangar 18 (1980). In the Eighties he hosted the Miss America pageant from 1982 to 1990. He also hosted The Home Show from 1989 to 1994. He appeared on such shows as Fantasy Island, Hotel, and The New Hollywood Squares. From the Nineties into the Naughts he appeared on such shows as Friends, Dharma & Greg, and Dead Like Me. He was the host of Now Playing with Gary Collins. 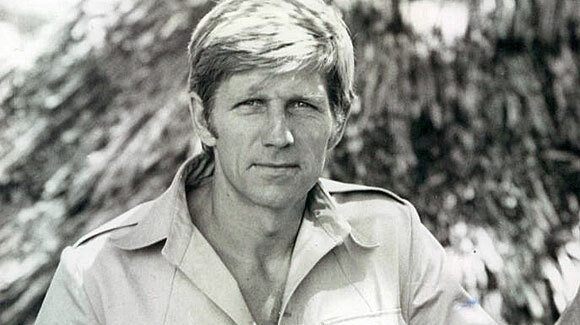 As an actor Gary Collins was not overly versatile, although he did play his roles quite well. While he was not a versatile actor, however, he had real talent as a television host. Gary Collins was always warm and welcoming and very relaxed as a host. He seemed particularly skilled at putting people at ease and getting them to talk about themselves. It is little wonder he was nominated for the Emmy award six times and that he won the award for Outstanding Talk Show Host in 1983. As many of you already know, Dish Network dropped the AMC Networks' channels (including the popular channel AMC, home of Mad Men and Breaking Bad) on 1 July 2012 with the claim that the ratings were too low for the price AMC Networks was asking for their channels. AMC in turn charged that Dish Network actually dropped its channels because of an unrelated lawsuit that was brought against Dish Network by Voom Networks, a property of AMC Networks' former parent company Rainbow Media Holdings LLC (a lawsuit which some analysts are now urging Dish Network to settle). Regardless, from social media it has become clear that many Dish Network customers want at least AMC, if not the other AMC Networks' channels back, and are unhappy about missing some of their favourite shows (Dish Network's Facebook page is still filled with customers stating that they want AMC back). Sadly, during all of this Dish Network's reaction to their customers has at times left a lot to be desired. Looking at the schedule, most of these movies one could easily watch on Amazon or Netflix or even rent at one's local video store (if there is still one in his or her community). That is, if one wants to watch them. While they are showing a few very good films and a few classics (the "Living Dead" movies, The Crow, Invasion of the Body Snatchers, The Omega Man, Re-Animator), it seems like most of the movies are absolute losers. Circuitry Man? Redneck Zombies? Death Valley: The Revenge of Bloody Bill? That's Dish Network's idea of substitutes for an Emmy winning horror series with a very faithful following? Speaking as a fan of horror movies from the silent era to the present and a fan of The Walking Dead, I would be downright insulted if a I were a Dish Network customer. Quite frankly, I can't help but see this as a very feeble attempt on Dish Network's part to appease those customers who are angry at having lost AMC. And those customers don't seem to be few in number. As I said earlier, on Dish Network's Facebook page, there are a number of posts from customers still angry at losing AMC (in fact, there are so many one can spend several minutes scrolling through them). A search on Twitter turns up a good number of people angry at Dish Network for dropping AMC as well. Indeed, some are angry enough at Dish Network for dropping AMC that tomorrow Walking Dead fans will descend on Washington D.C. dressed as the walking dead to protest Dish Network still not carrying AMC (see this Washington Post article if you don't believe me!). Dish Network has claimed that the AMC Networks were not a good value for their customers, but it seems quite apparent that many customers disagree. Indeed, regardless of how low rated IFC or WE (two channels owned by AMC Networks) are, for the year 2011 AMC ranked #17 in the top 20 highest rated cable channels. That is very good given that there are literally hundreds of cable channels out there. What is more, even if IFC and WE are low rated, I suspect they are higher rated than some of the channels Dish Network carries on their most basic package. Daystar? Angel Two? DIY Network? I suspect these channels get ratings that make IFC and WE look like ratings giants. Of course, in the end it does not matter what ratings the various AMC Networks' channels get on Dish Network. The fact is that many Dish Network customers want AMC back and do not seem to mind if they have to pay more to get it either. That Dish Network has not yet resolved their dispute with AMC makes me think that they really don't care if they lose customers as a result of not carrying AMC. Granted, I don't think thousands of people would necessarily drop Dish Network if the dispute lasts much longer, but I think they will lose customers regardless. If the dispute lasts too long, they could lose enough customers to be hurt significantly. It seems to me, then, that it is in Dish Network's best interests to return AMC to their line up as soon as possible.